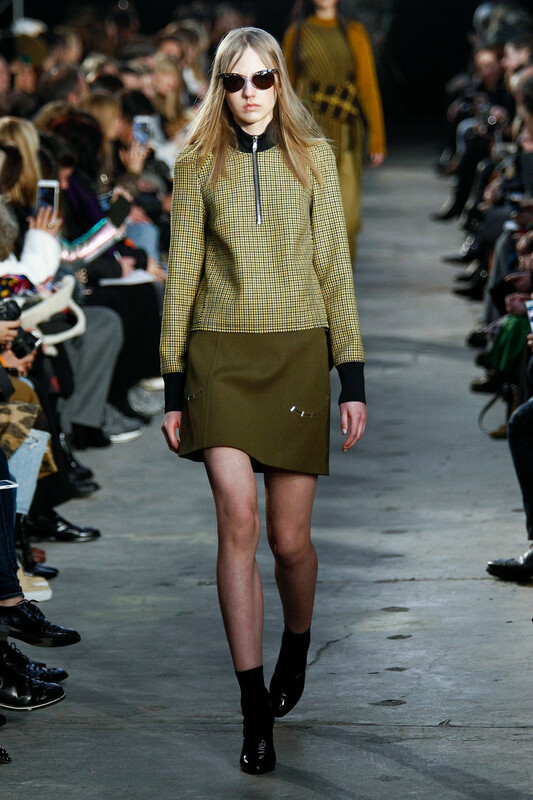 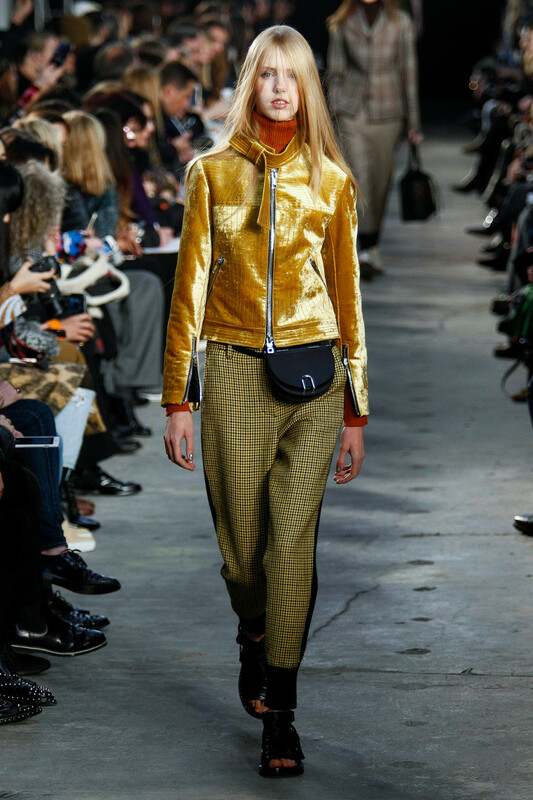 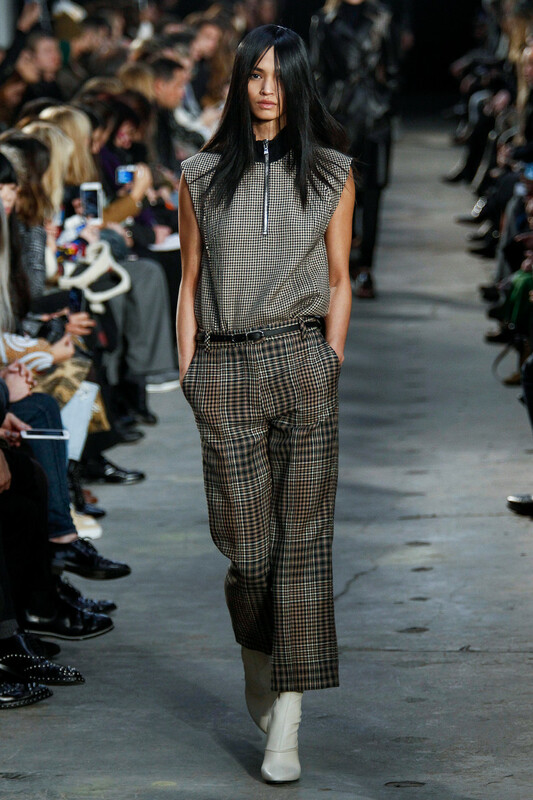 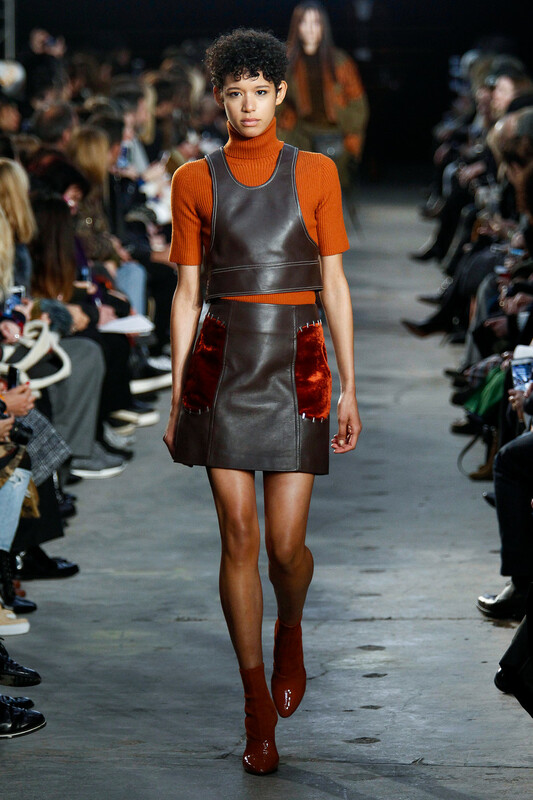 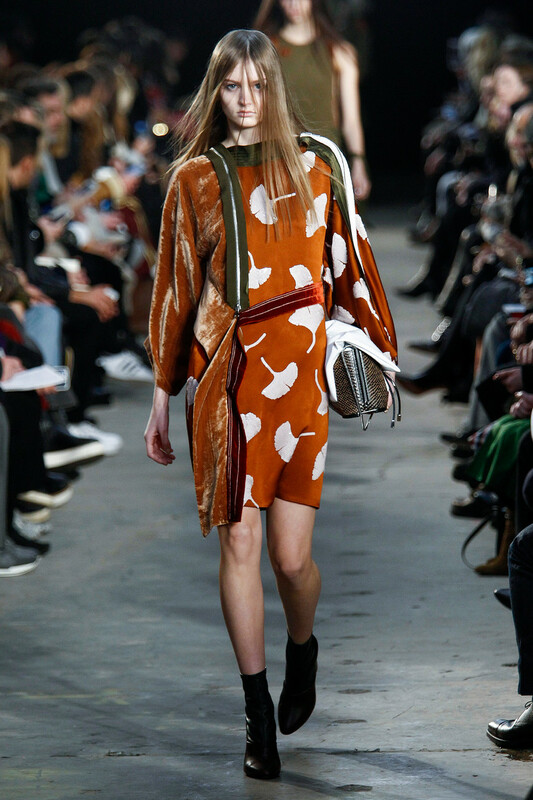 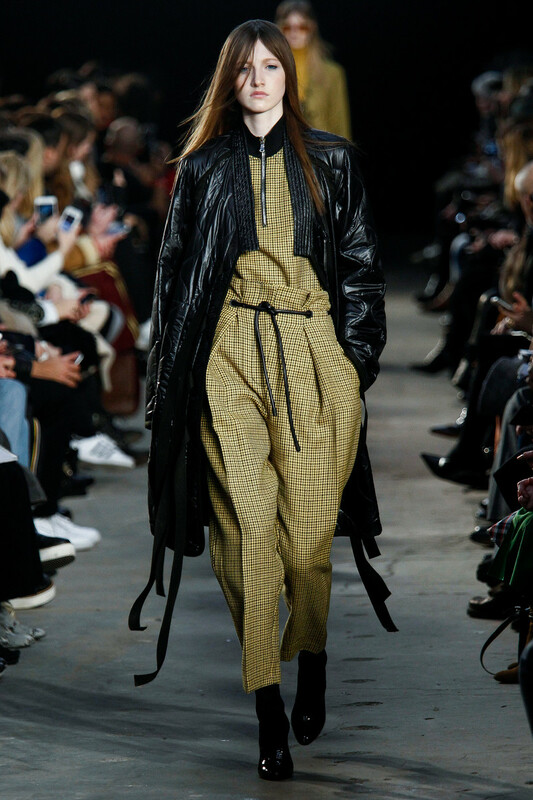 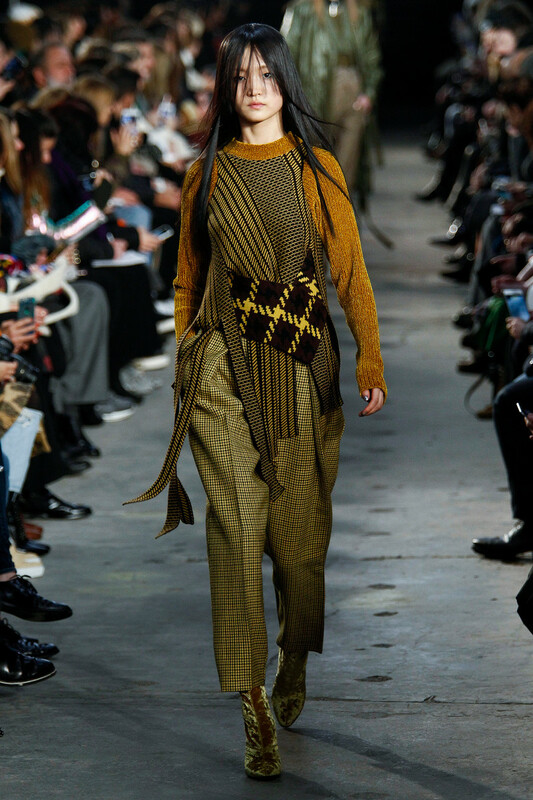 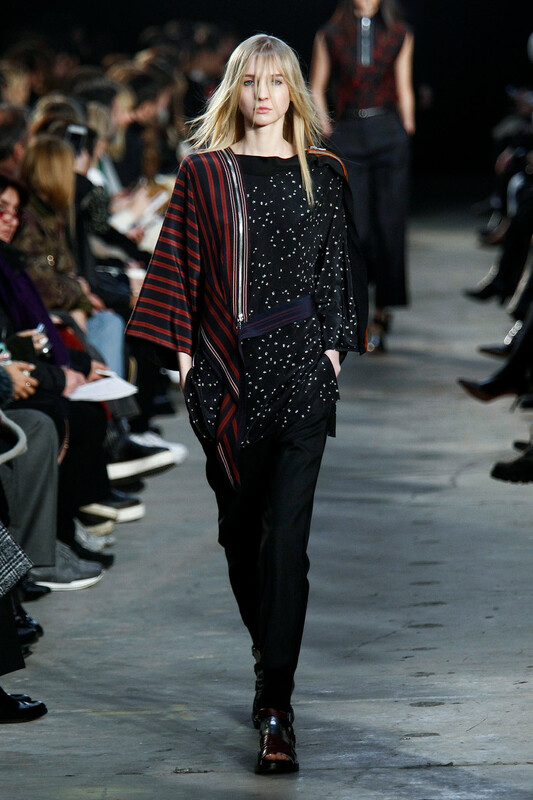 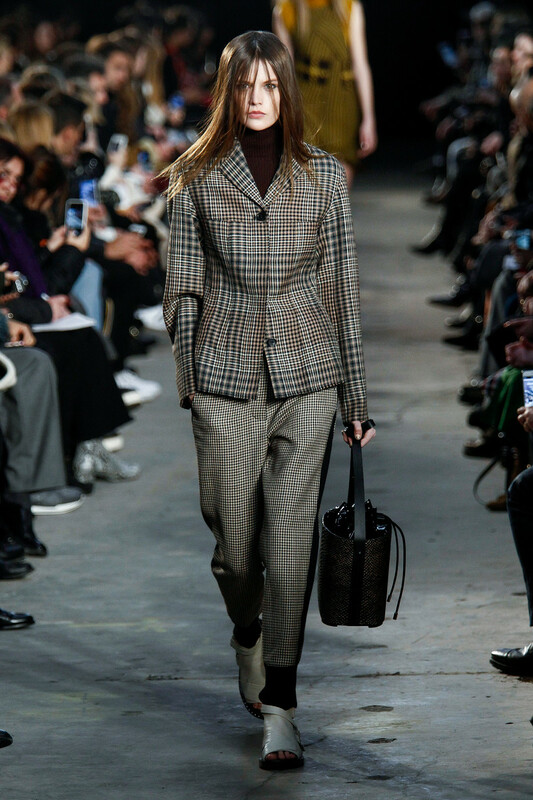 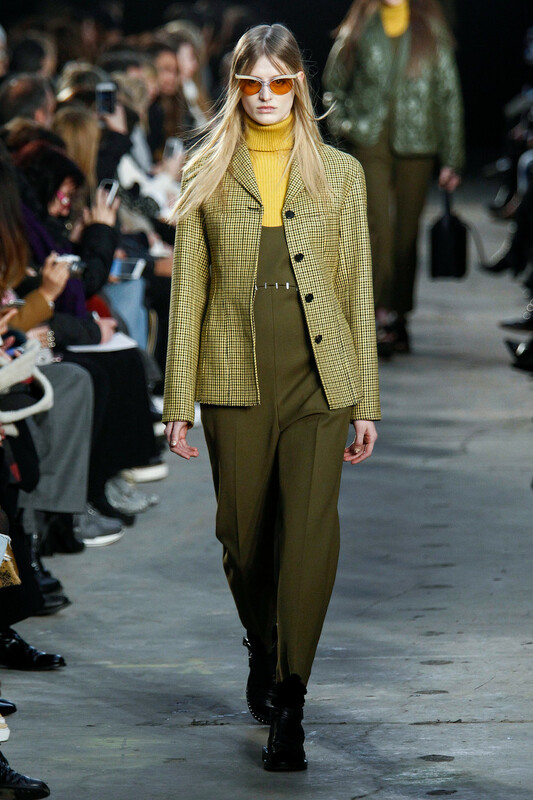 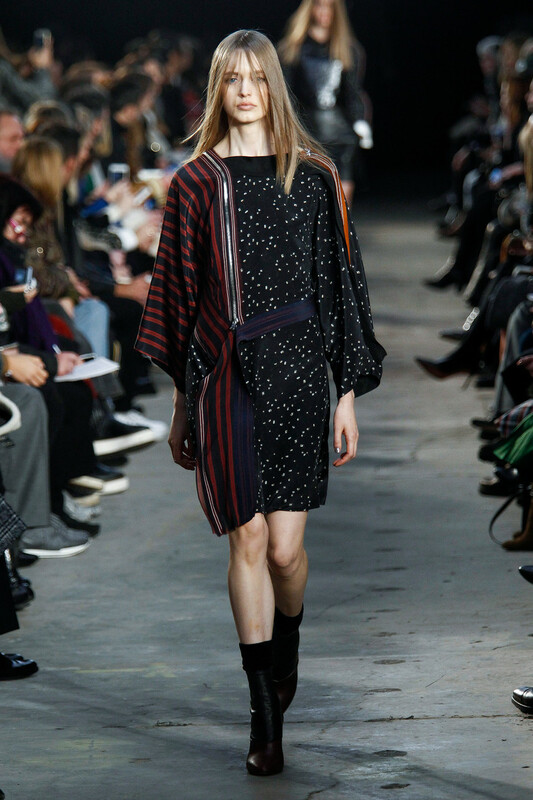 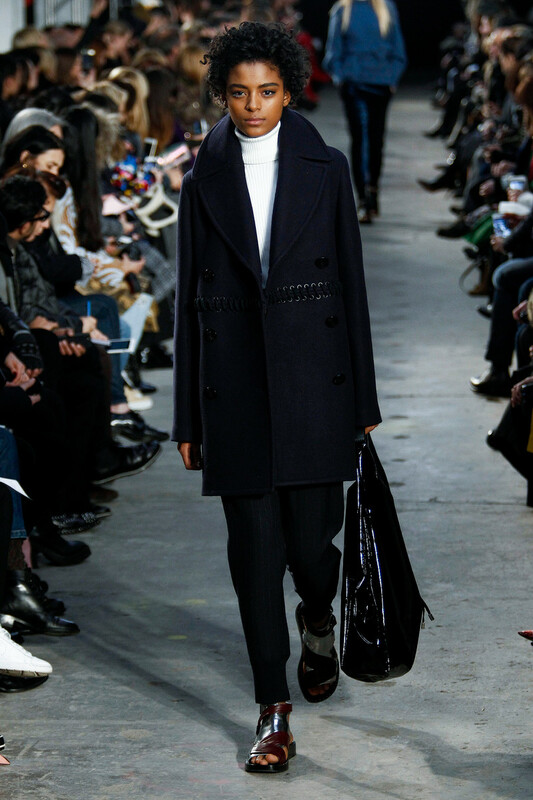 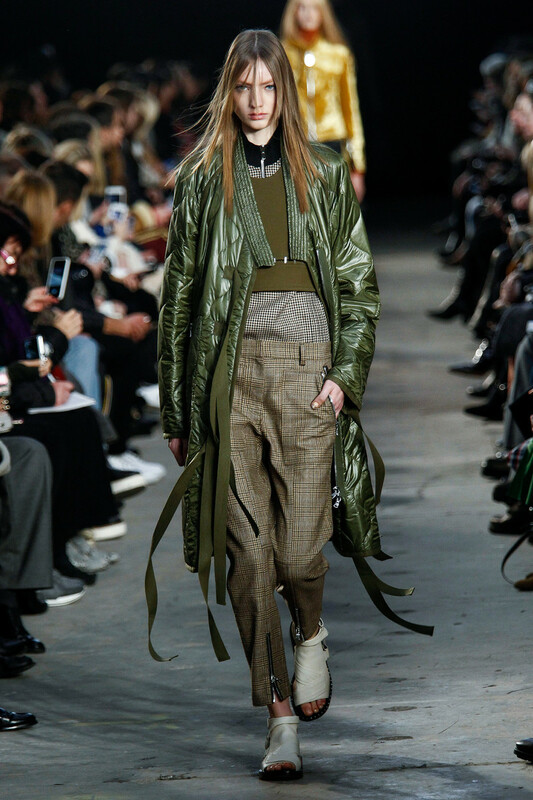 Phillip Lim did a lot with practical sportswear, elevating simple pieces, such as A-line minis, shifts and boyish trousers with a bit retro plaids — micro and macro — in sour shades of green, rust and brown. 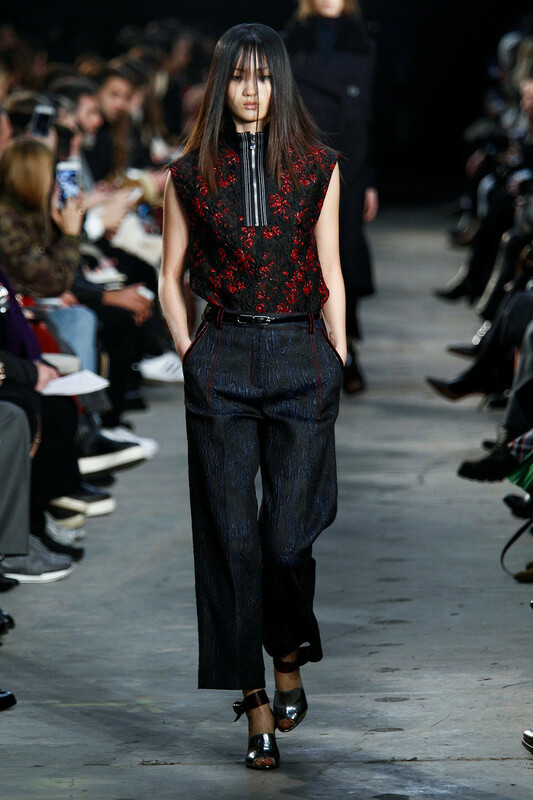 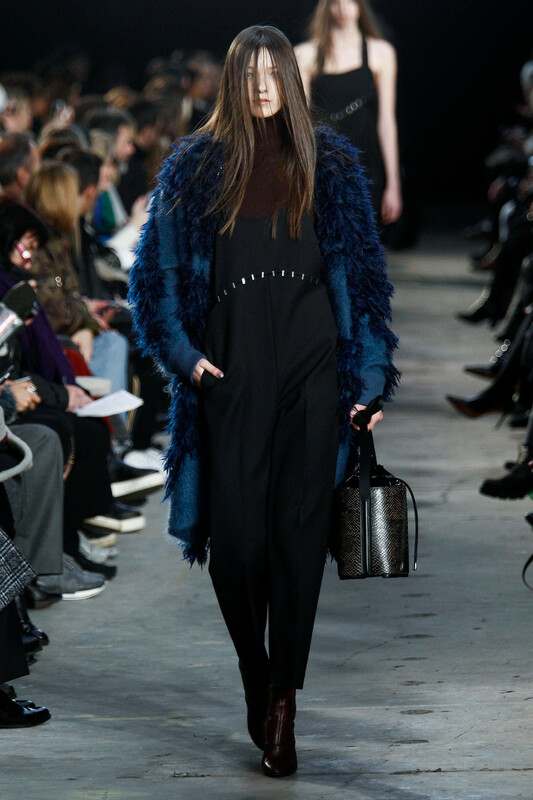 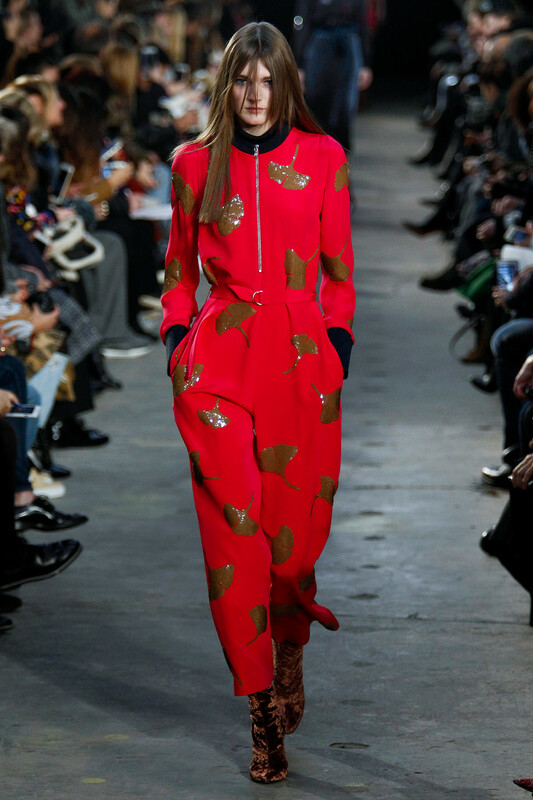 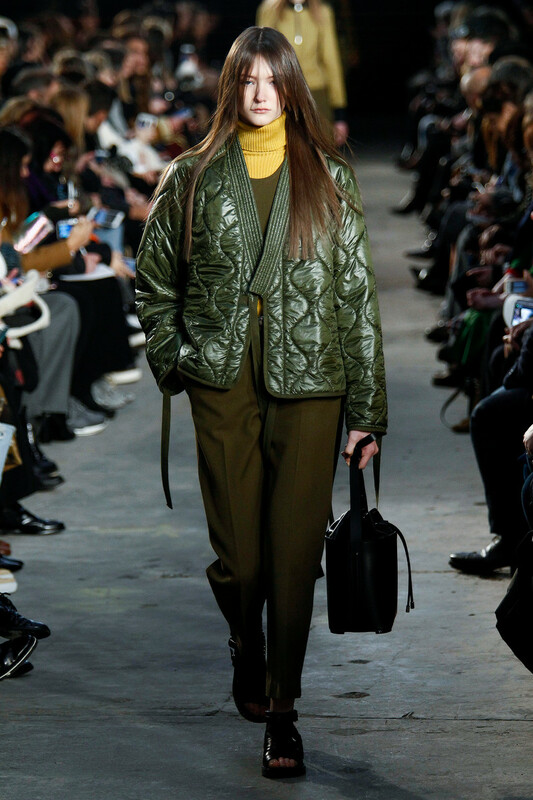 The beginning of the show had a neo-rockabilly attitude cross-pollinated with the unusual sporty Zen of quilted nylon puffers with kimono trims and flat, hardy sandals. 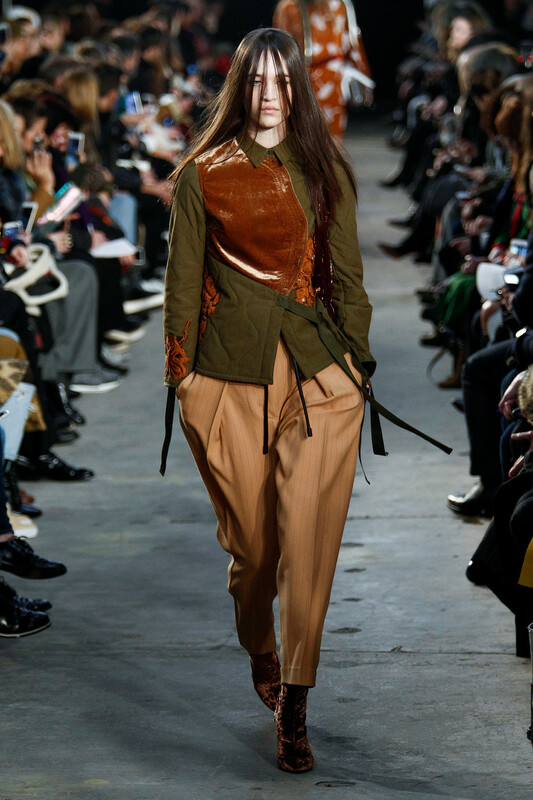 It was a thoughtful collection, full of left-of-center ideas that worked. 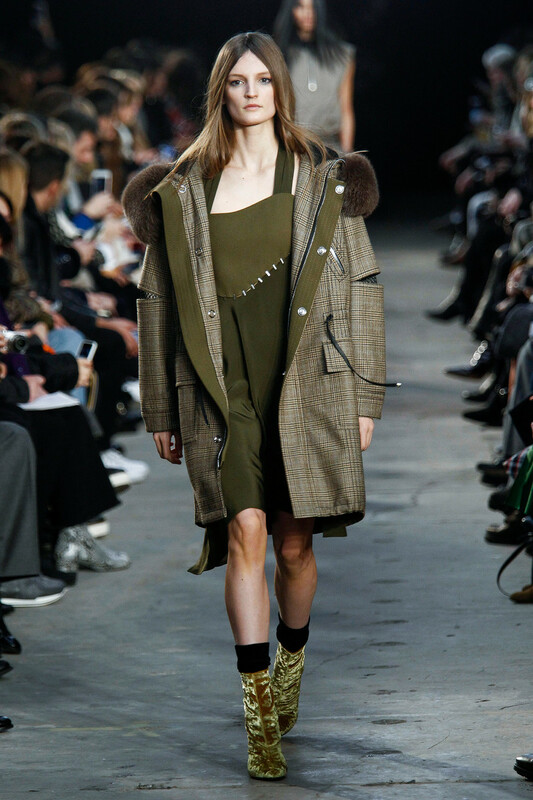 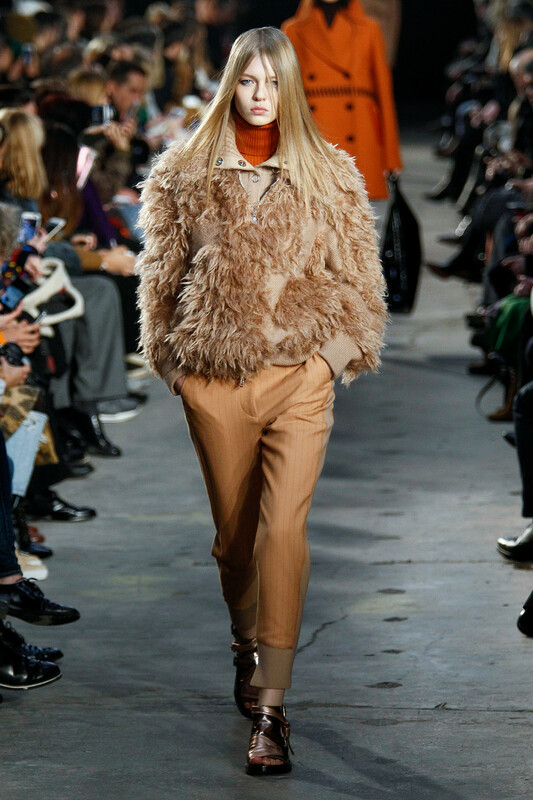 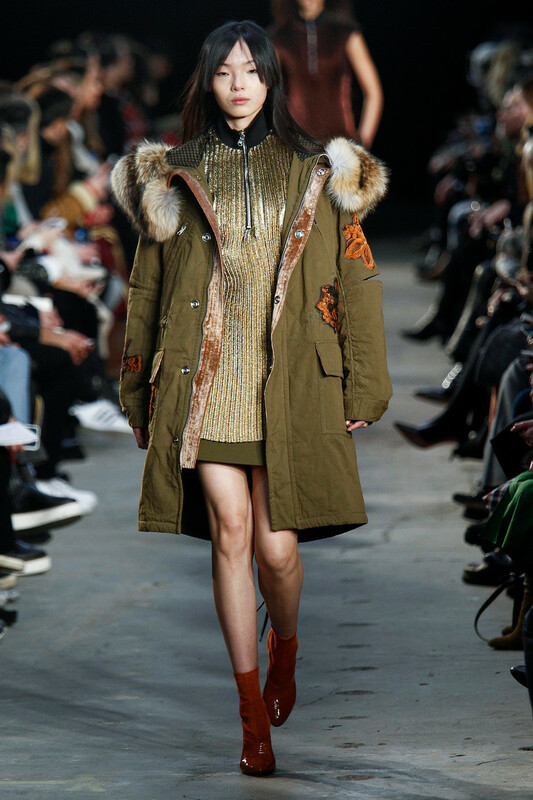 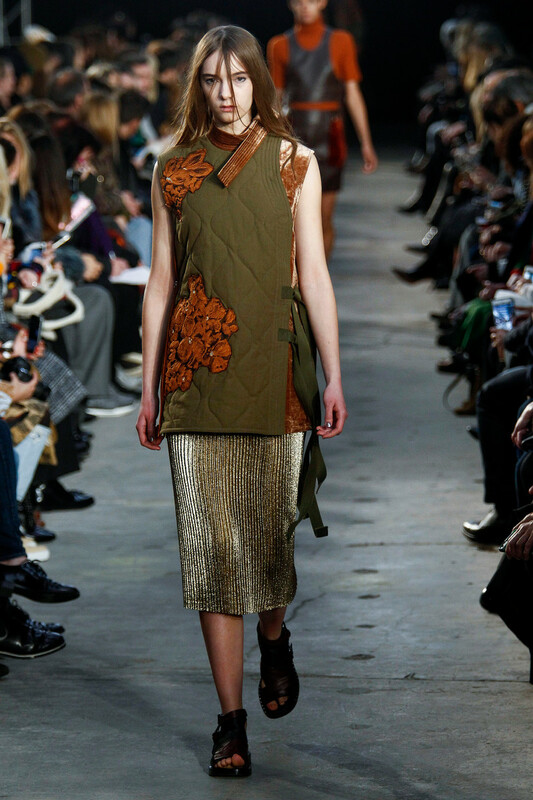 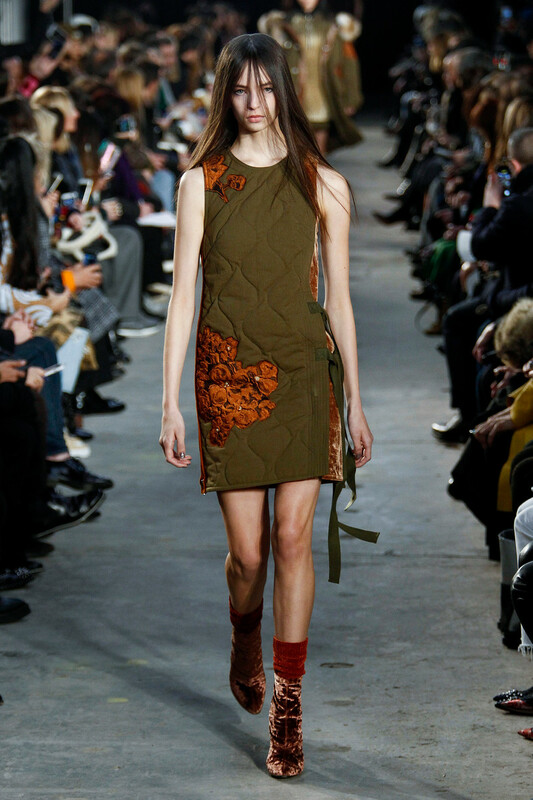 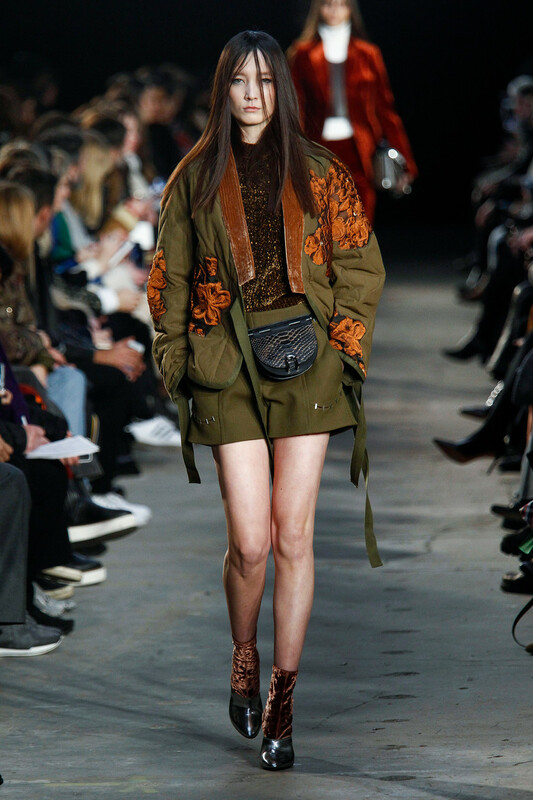 Some of the best looks fused utility and romance, such as a series of Army green items, including cargo pants with patchwork-velvet panels and an oversize parka with a fur hood, slashed elbows and orange embroidery. 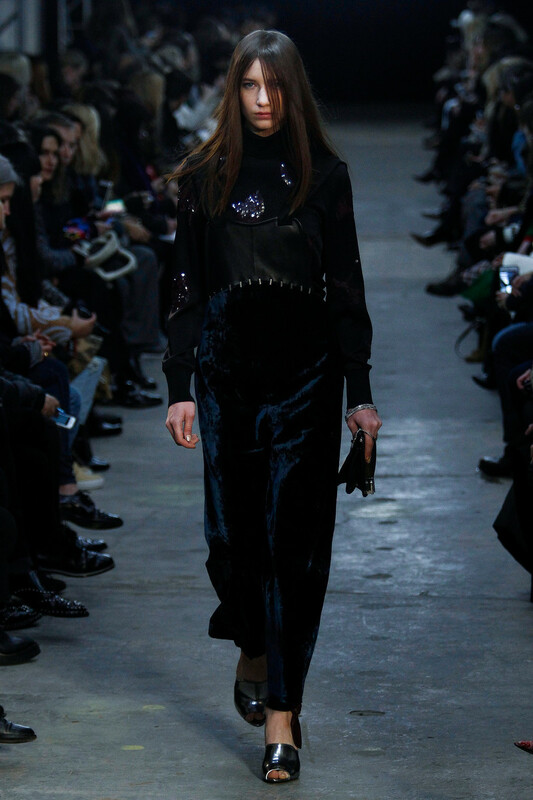 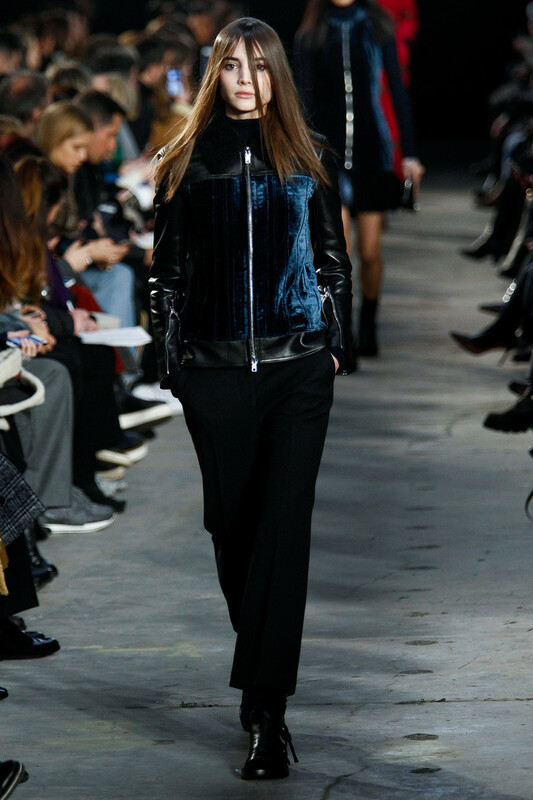 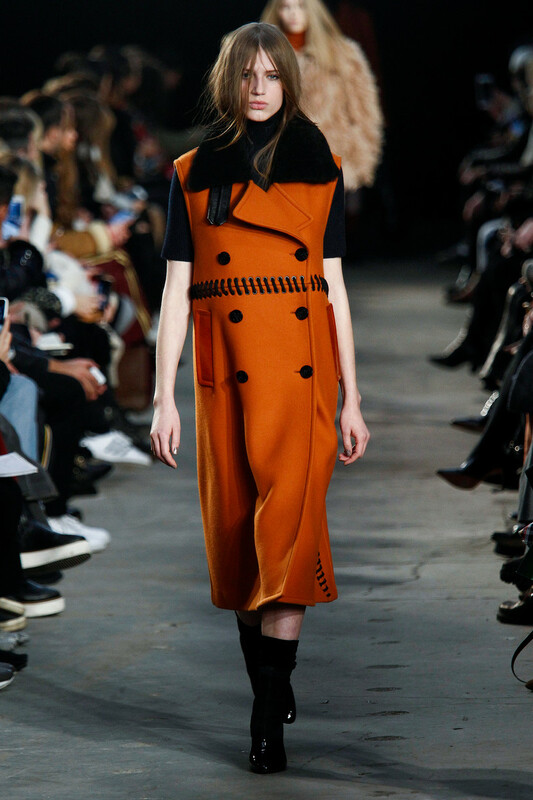 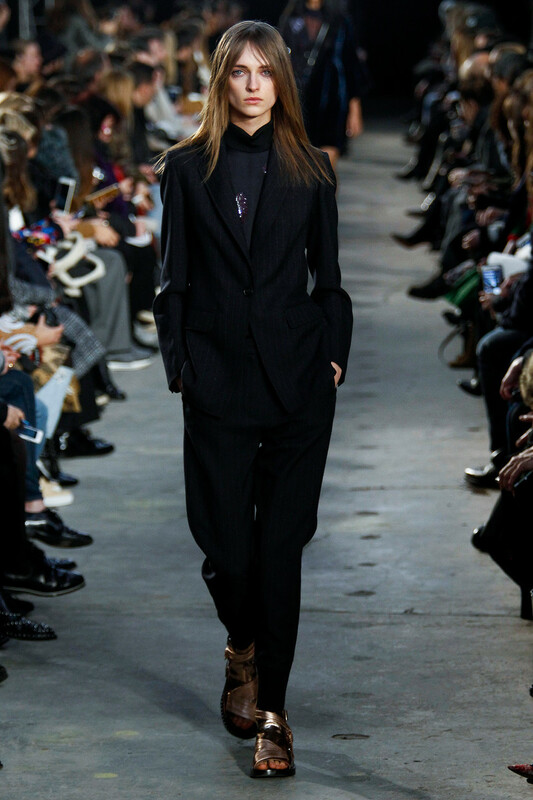 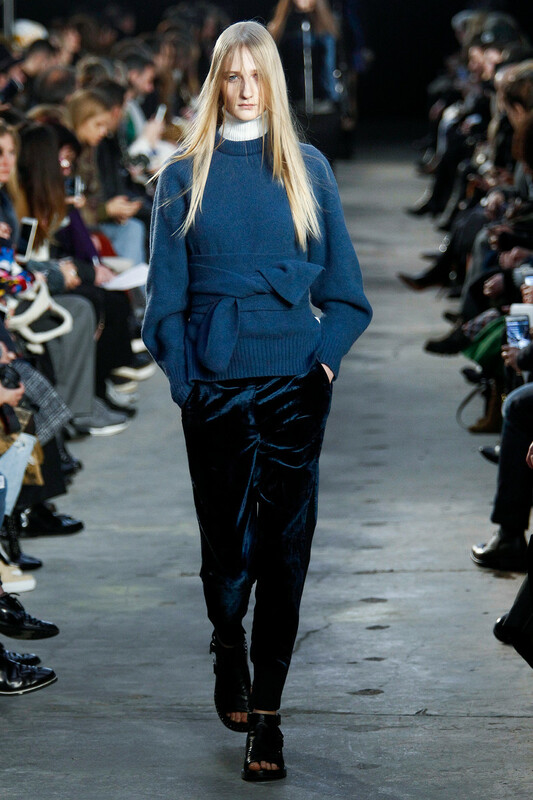 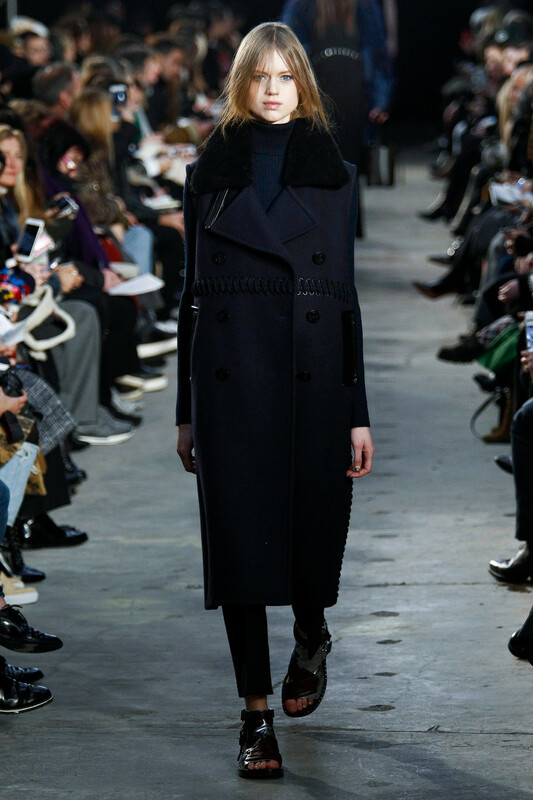 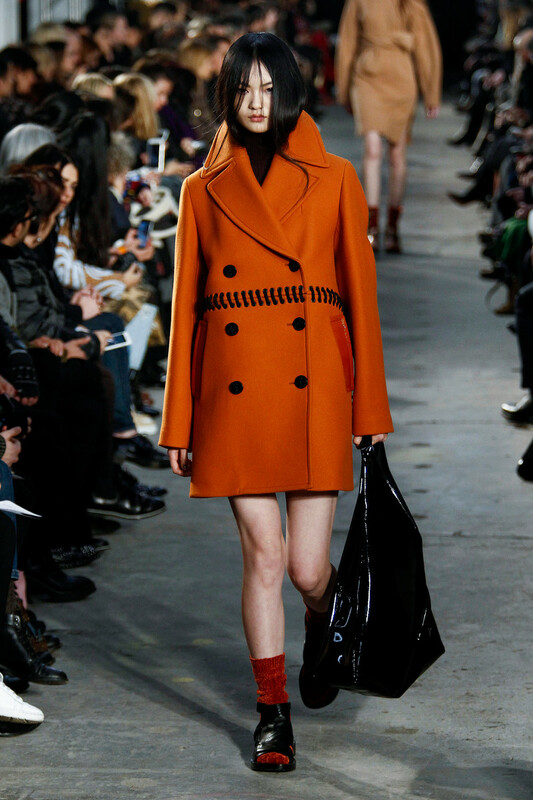 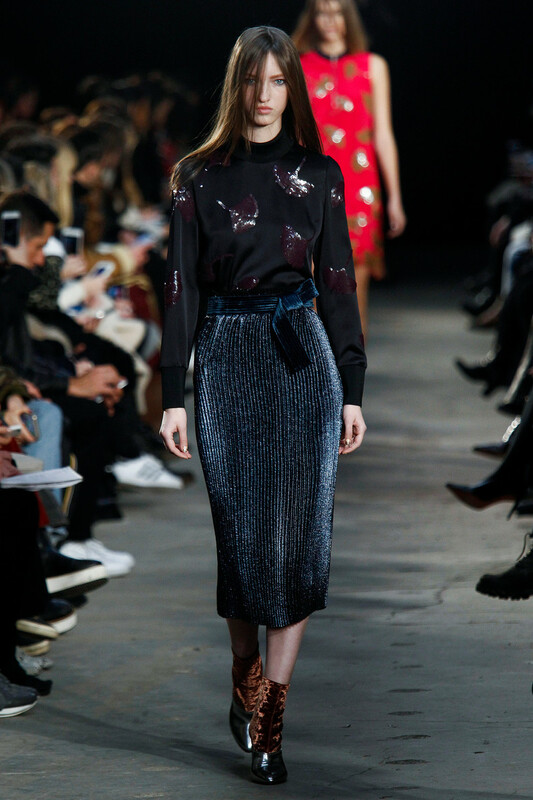 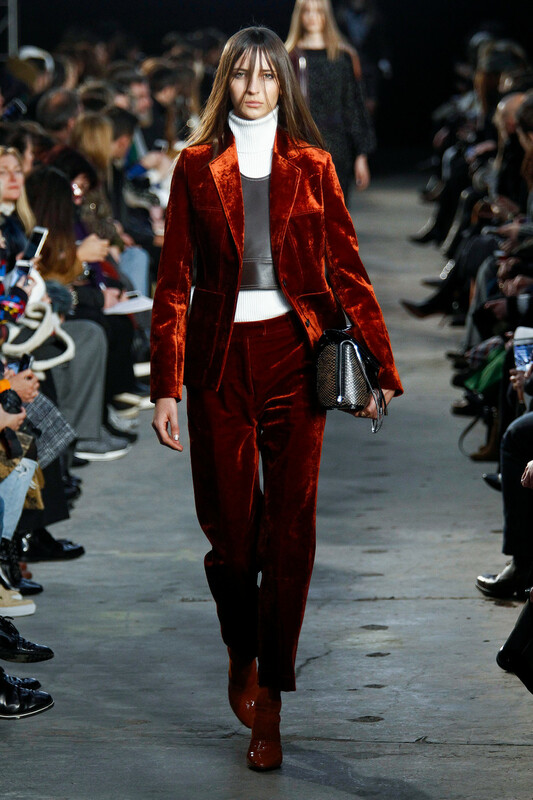 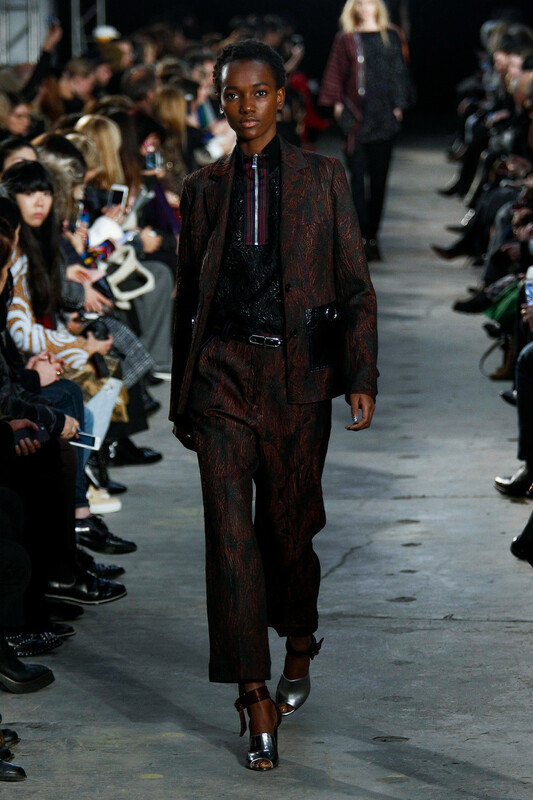 Lim also joined in the season’s velvet renaissance, with a burnt-orange velvet suit, a fitted navy motor jacket with leather sleeves and velvet booties, some of which had a contrasting silver toe.